Departure from St-Hubert close to Montréal. 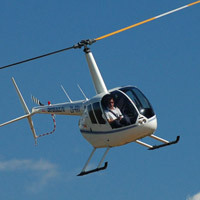 Fly with a Robinson R22 for a private flight. A fantastic gift. Maximum weight of 220 lbs.